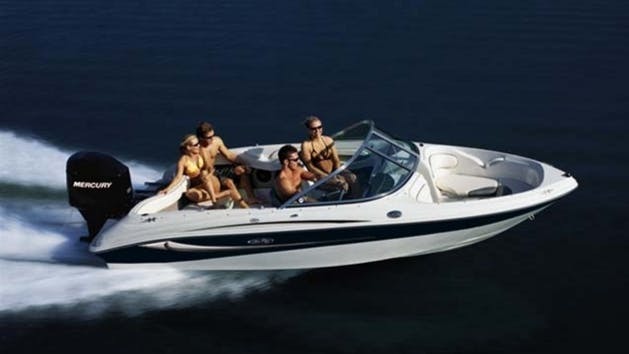 The Sylvan is a fast & fun, 115 horsepower runabout for your group of up to 8 passengers. 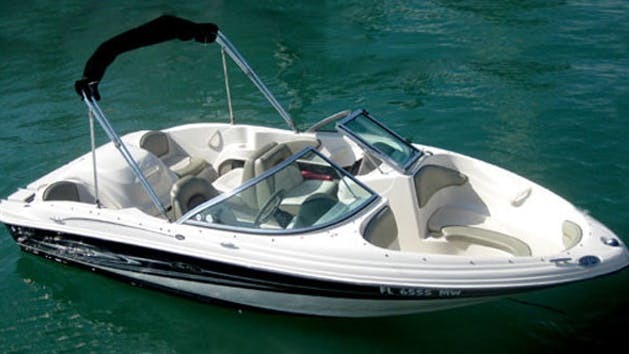 It offers a bimini top for shade and select boats offer tow bar for tubing or wakeboarding. Additional fuel charge applies.